In order to receive the most up-to-date information please sign up for announcements by clicking here. 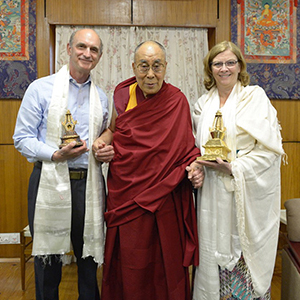 I am humbled to have been given the extraordinary opportunity to co-chair the summit “Fostering Universal Ethics & Compassion Through Museums” held in India, Oct. 28-Nov.1, 2018, and again be in the presence of The 14th Dalai Lama. His Holiness’ humility combined with His thought-provoking insights were inspirational. What an incredible experience spending 3 ½ days with 29 museum-related, multi-disciplinary visionaries from throughout North America in such a collaborative and nurturing atmosphere. 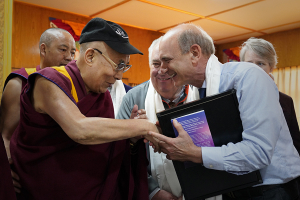 Please click here to watch a short video containing excerpts of The Dalai Lama’s comments and reflections from some delegates. For those interested in viewing the entire audience with the Dalai Lama please click here. 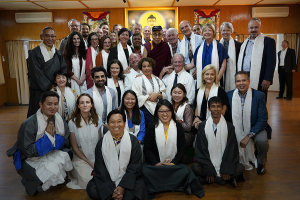 A special “thank you” to co-chairs Ngodup Tsering, U.S. Representative for the Office of Tibet and Elif Gokcigdem, founder of the Empathy-Building Through Museums Initiative along with other representatives of His Holiness and our hosts from the Tibet Museum. With over 35,000 museums in North America this gathering provided an extraordinary opportunity to leverage the group’s collective wisdom in identifying and propagating best practices. All 29 delegates are actively fulfilling commitments made during the summit that support of our gathering’s themes. 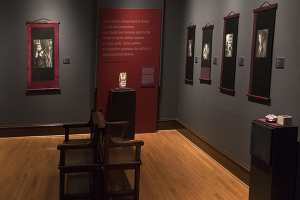 We are now entering our second year of a North Carolina statewide, museum-based effort to promote universal ethics. I am truly inspired by the growing enthusiasm for this initiative. My deepest appreciation goes to my co-chair in this effort, Liz Baird, director of education at the North Carolina Museum of Natural Sciences. 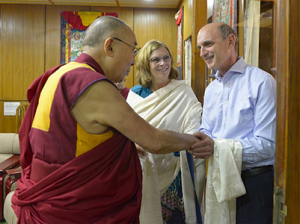 It was a tremendous honor for the Honorable Mayor Nancy McFarlane and myself to represent North Carolina’s capital city, Raleigh, during a private audience with The Dalai Lama at His World Headquarters in Dharamsala, India. We are very pleased His Holiness is considering a visit when He resumes traveling to the United States. A special thank you to Petruta Lipan, Director at the St. Louis Univ. 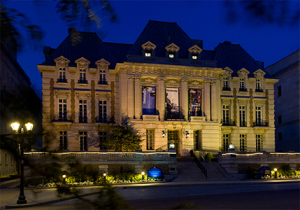 Museum of Art and her staff for their first-class effort in organizing the museum premier of Inner Harmony… Learning from the Buddhist Spirit. 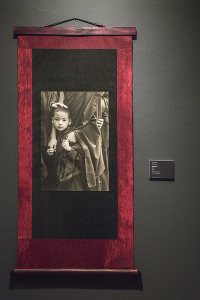 This 5-room, interactive, multi-sensory exhibition focused on the important role compassion, wisdom, gratitude for non-material things and healing of the mind, body and soul play in achieving true happiness. 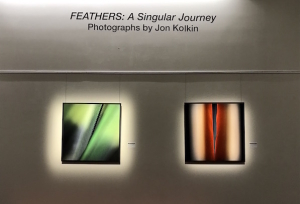 Feathers… A Singular Journey had its premier as a solo exhibition in the spacious Betty Ray McCain Art Gallery in the Duke Energy Center for the Performing Arts, Raleigh, N.C. A special thank you to Lee Hansley, Director of the Lee Hansley Gallery for curating this show. I typically give a number of presentations and judge photography competitions on a regular basis throughout the year. The best way to stay posted on these events is by signing up for announcements by clicking here.